As we head into the month of October (National Pizza Month 🍕), here are a few highlights and opportunities to get involved. The FLVS Model UN club is celebrating democracy through action on National Voter Registration Day. The session is open to all students and will include guest speakers from non-partisan groups and provide you with important information on how you can take action in your democracy. Join the session here on Tuesday, Sept. 25 and Thursday, Sept. 27 at 7 p.m.
Hispanic Heritage Month (Sept. 15 – Oct. 15) is the anniversary of independence of five Latin American countries: Costa Rica, El Salvador, Guatemala, Honduras, and Nicaragua. There will be a Hispanic Heritage Celebration on Wednesday, Oct. 10 from 6-8 p.m. and you can join the festivities here. 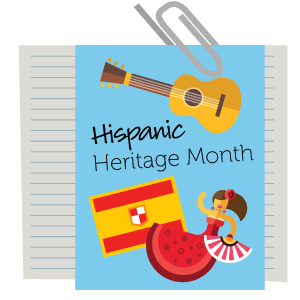 If you would like to create a 5-10-minute presentation that showcases how Hispanics have had a profound influence on culture, email Sra. Maria Campbell at mcampbell@flvs.net by Monday, Oct. 1. 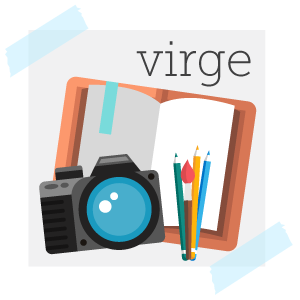 Would you like to submit your writing, artwork, or photography for the next edition of Virge? FLVS is accepting entries for the Fall 2018 issue. All current FLVS students are eligible to submit original work to be considered for publication in Virge, which will be published in December. This year’s theme is “Wanderlust,” and your work should adhere to the theme as you interpret it. Wanderlust; the strong lust, need or want to travel. For writing pieces, you can write about where you’ve been, places you’ve traveled, how you got there, or why you went there. For images, you can draw or take images of places you’ve been, places you want to go, or the reason why you want to go there. All entries must have a completed submission form, and meet the guidelines found on our website. Find details and download the entry form by Sept. 30. If you haven’t yet, there’s still time to join the clubs that put on these fantastic events! Learn more. This entry was posted in Full Time Edition, Homeschool Edition, Parent Edition, Student Edition and tagged Corkboard, FLVS Corkboard, FLVS Newsletter, National Hispanic Heritage Month, National Voter Registration Day, Student Activities, Virge, Virge Literary Magazine on September 25, 2018 by The Virtual Voice. Where can I find more about the multi-city field trips? Hi Lilly! The majority of our recurring field trips and meet-ups are open to students who attend FLVS Full Time, our comprehensive public school option. These include monthly gatherings and events like grad bash, but schedules vary by grade. On the elementary level, we do offer a variety of face-to-face events! Let us know what grade and program your child is in for more info. Thank you for responding to my question about local meet-ups. My son is a flex student in third grade. Any help you can offer is greatly appreciated. Great! Flex Elementary does offer field trips in different counties, like the one we have coming up in November! While Flex don’t coordinate local meetups on a monthly basis (the way we currently do for Full Time), you might check into some local homeschool co-ops or search for groups in your area! 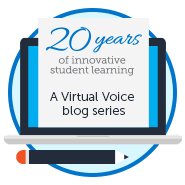 Will FLVS flex students have field trips? Hi there! FLVS Full Time hosts more regular field trips as the student’s primary school of record. However, opportunities for FLVS Flex students to meet are occasionally available through our clubs! So I can still turn in my entry for the Virge Magazine. Do flex students have the ability to go on field trips? Hi there! We coordinate field trips regularly for our elementary students. 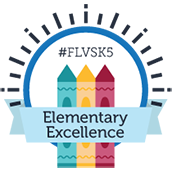 If you are a middle or high school student with FLVS Flex, face-to-face opportunities are sometimes organized through our clubs and student activities. Check out our list of clubs at FLVS.net/clubs.